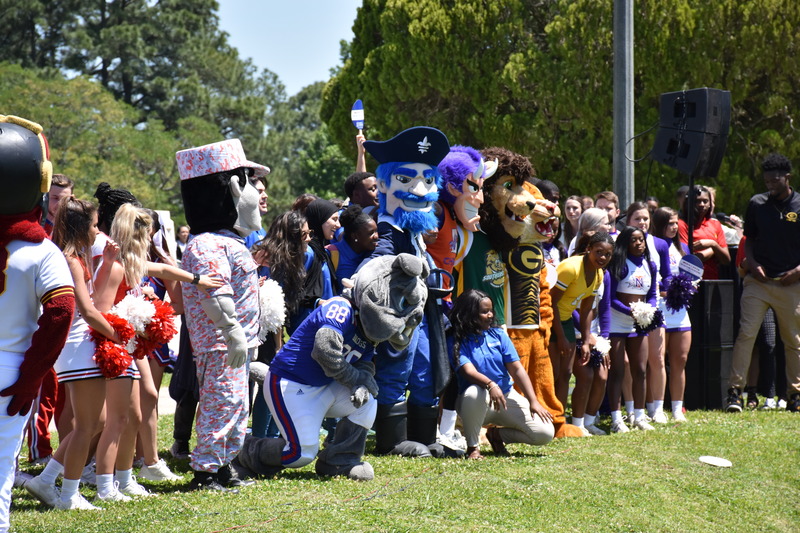 More than 1,200 students, alumni, faculty and staff gathered on the Capitol lawn to showcase academic programs, performance groups and challenge our state leaders to fund higher education and fulfill the TOPS promise. 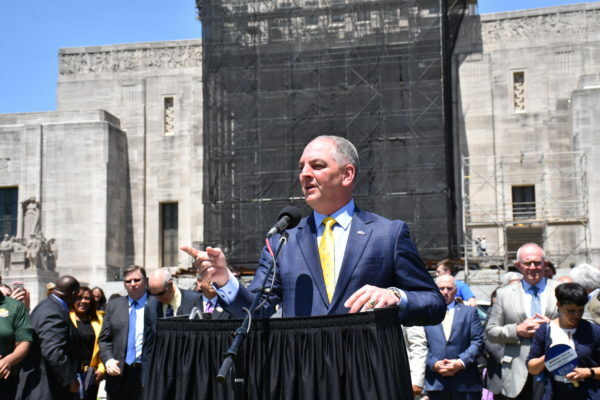 Governor John Bel Edwards and eleven legislators from throughout the state joined the System on the lawn to express their commitment to funding higher education. Speaking on behalf of the System were Board Chair Alejandro “Al” Perkins, Student Board Member Ben Rice and System President and CEO Jim Henderson. urant and Tourism Administration provided attendees jambalaya and assorted desserts. Academic program displays included interactive demonstrations such as robotics, virtual reality devices, innovative arts and allied health. 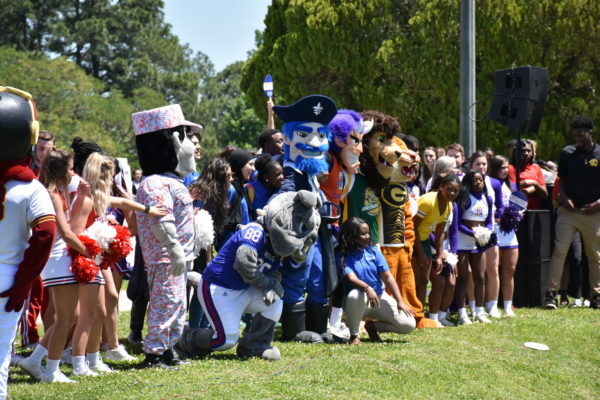 Performances included a mascot and spirit squad showcase, stage fighting, the Northwestern State University pep band, a fine arts dance display and the Grambling Show Choir accompanied by a live painting demonstration. ULS Day at the Capitol is an annual event designed to provide an opportunity for students to interact with state leaders on the topic of public higher education. 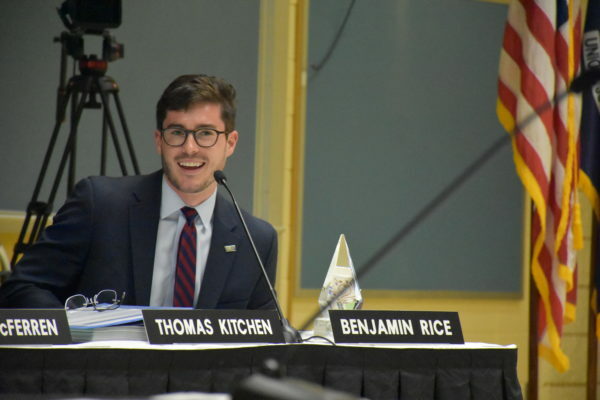 Today’s meeting marks the end of Student Board Member Benjamin Rice’s term. 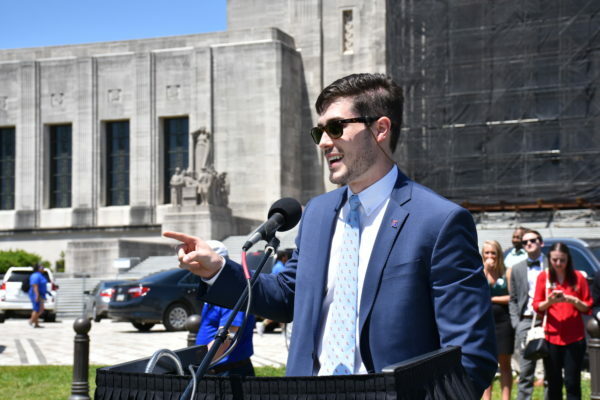 During his service, he participated as member of the Nicholls Presidential Search Committee, participated in the inaugural System conference, played an active role at the recent Board Retreat and led students during ULS Day at the Capitol. The board presented Rice with a memento to commemorate his service to the state of Louisiana. 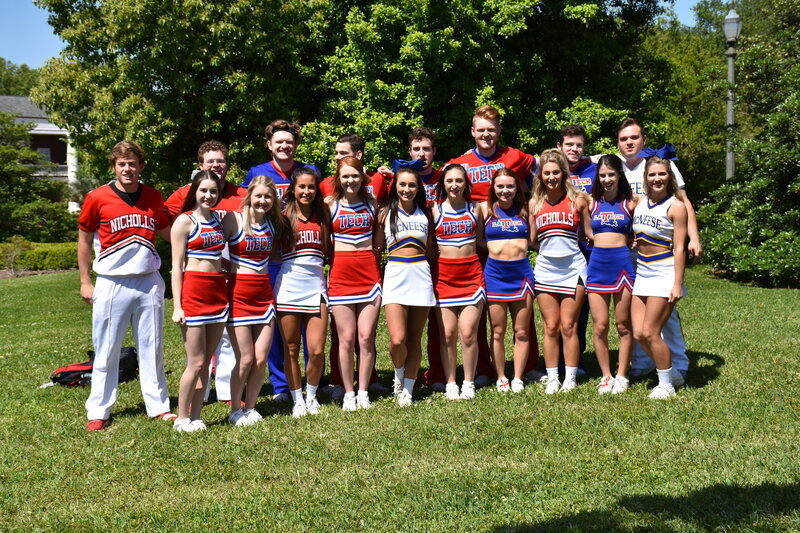 Rice, who will earn his bachelor’s degree this Spring, is president of the Louisiana Tech Student Government Association. 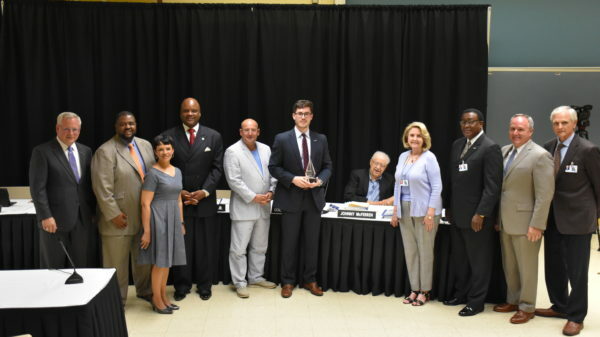 Members of the Universities of Louisiana Management and Leadership Institute presented a capstone project to the Board of Supervisors for the University of Louisiana System and the System’s university presidents. The project focused on pathways to achieve the six aspirations set forth in the System’s strategic framework. This project is the culmination of a rigorous nine month leadership program sponsored by the System. 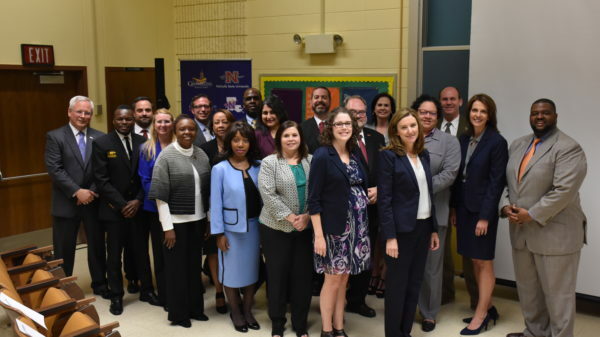 The group, composed of a faculty member and staff member from the nine member institutions, worked together to make recommendations to solve challenges facing Louisiana using our higher education enterprise. ded ways to partner with businesses to ensure workforce needs are met. 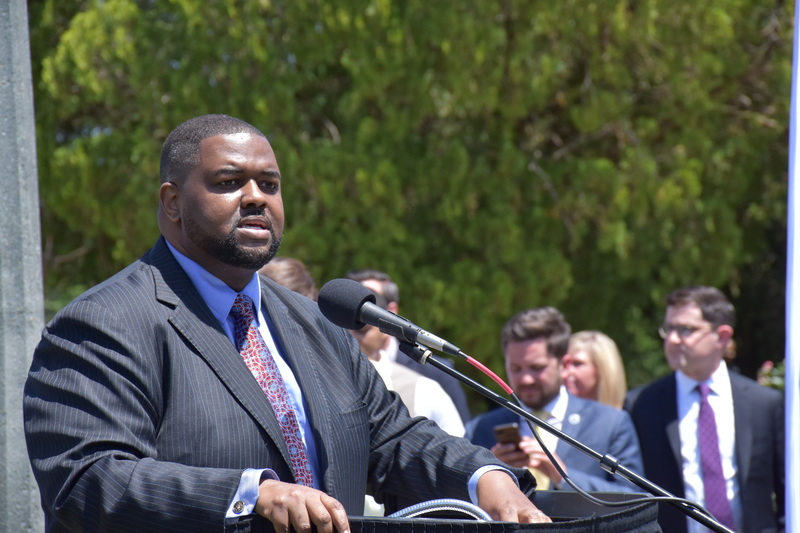 They acknowledged the clear connection between educational attainment and workforce development. Analyzing financial stewardship and accountability, the group discussed system-wide procurement and contracting and ways to improve faculty and staff retention and job satisfaction. The Board, System staff and university presidents will further assess the institute’s project and discuss ways to implement the recommendations. 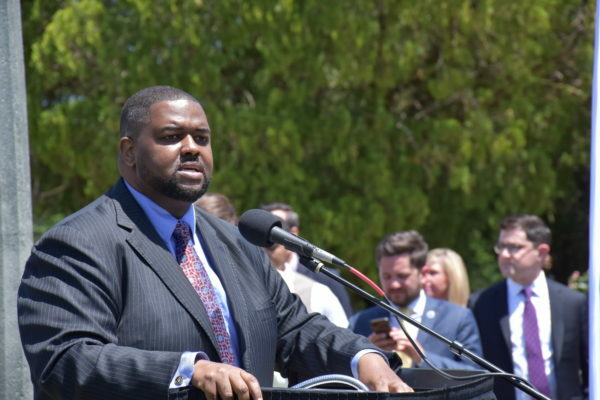 The Board of Supervisors for the University of Louisiana System voted to approve the continuation of a Memorandum of Understanding between Grambling State University and Meharry Medical College School of Medicine. 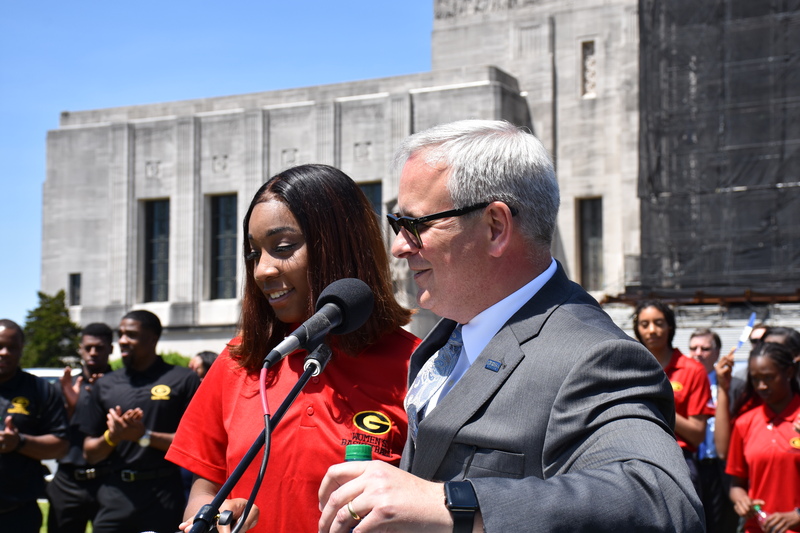 The MOU, first established in 2003, allows up to three Grambling State students to participate in the Bachelor of Science – Doctor of Medicine program annually. To date, nearly 100 students have participated in the program designed to increase the number of African-American physicians. Meharry Medical College, located in Nashville, is one of the nation’s oldest and largest historically black health science centers. 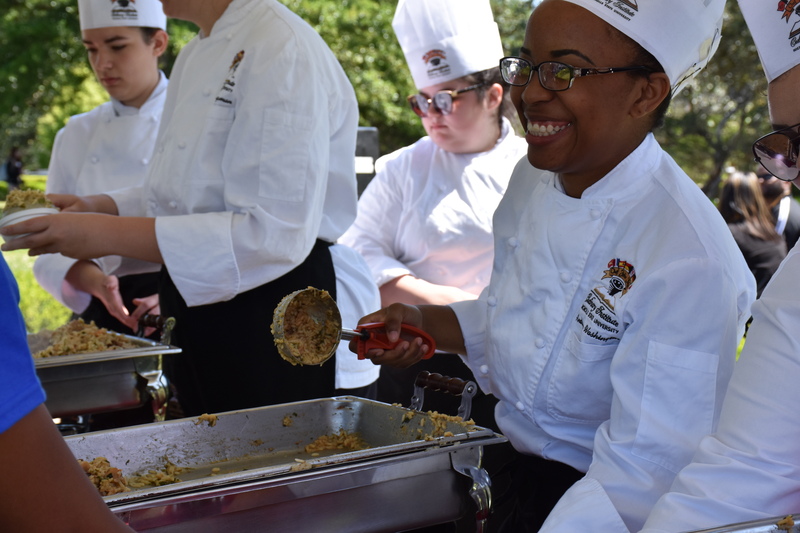 Students selected for the program receive a $3,000 stipend, a six-week MCAT review course and reduced tuition. Grambling: approval of a renewal to the Memorandum of Understanding with Meharry Medical College. Grambling: approval of a Memorandum of Understanding between the University and the United States Environmental Protection Agency, Region 6. 3. Grambling: approval to award an Honorary Doctorate of Humane Letters to Mr. Louis S. Reine. LA Tech: approval of a Proposal for a Graduate Certificate in Business Administration. ** Executive Session, pursuant to R.S. 42:17, may be required. LA Tech: approval to award an Honorary Doctorate of Science to Mr. Craig C. Spohn at Spring Commencement Exercises. McNeese: approval to award a posthumous Honorary Doctorate of Humane Letters to Mr. Billy Navarre. McNeese: approval of a Memorandum of Understanding between the University and Shenyang Aerospace University. Nicholls: approval to award an Honorary Doctorate of Letters to Ms. Cory Tolbert Haik at the Spring Commencement Exercises. Northwestern: approval to create the School of Education within the Gallaspy College of Education and Human Development. Northwestern: approval of a Proposal for a Bachelor of Fine Arts in Dance. Southeastern: approval of a Letter of Intent to Develop a New Academic Program leading to a Master of Science in Athletic Training (MSAT). ULM: approval to restructure the College of Health Sciences into two schools: (1) Kitty DeGree School of Nursing and (2) School of Allied Health. UNO: approval of a Letter of Intent to Develop a New Academic Program leading to a Bachelor of Science in Construction Management. UNO: approval of a Memorandum of Understanding between the University and Chang’an University Xi’an, Shaanxi, People’s Republic of China (PRC). Grambling: approval to award an Honorary Doctorate of Humane Letters to Ms. Cynthia Marshall at the Spring Commencement Exercises. Southeastern: approval of a contract with Mr. Christopher McBride, Head Women’s Soccer Coach, effective February 1, 2018. UL Lafayette: approval of a contract with Mr. William H. Napier, Head Football Coach, effective January 1, 2018. UL Lafayette: approval of a contract with Ms. Heather Mazeitis-Fontenot, Head Volleyball Coach, effective March 1, 2018. UL Lafayette: approval of a contract with Mr. Tony Robichaux, Head Baseball Coach, effective February 1, 2018. UL Lafayette: approval of a contract with Mr. Garry P. Brodhead, Head Women’s Basketball Coach, effective April 1, 2018. LA Tech: approval to allow certain properties located in Lincoln Parish to be nominated to the State Mineral Board for mineral lease. McNeese: approval to sell two tracts of property for State Road Widening Project H.002059 to the Louisiana Department of Transportation and Development. McNeese: approval to enter into a Land Lease with J. Scott Vincent, Lastie Paul Vincent III, and Bordulac, Inc. for the University’s use of land located immediately adjacent to Burton Coliseum. UL Lafayette: approval to execute an Act of Correction and Ratification of the Old Charity Hospital property to correctly reflect the properties transferred to the Board of Supervisors for the University of Louisiana System. ULM: approval to lease 3,437 square feet of office and classroom space at the University Medical Office Building located in New Orleans, Louisiana, from the Board of Supervisors of Louisiana State University System. UNO: approval to amend the Contract of Land Lease with the Orleans Parish School Board for the Benjamin Franklin High School site. Grambling: approval of a student referendum to approve a self-assessed Radio Lab Fee and Grambling Tiger Marching Band Fee. Northwestern: approval of a Health Services Fee for the Shreveport campus. UL Lafayette: approval to consolidate the Jeanne Brauns-Oudenhoven/BORSF Eminent Scholar Endowed Chair in Entrepreneurship and the Frem F. Boustany, Sr. Endowed Chair in Business Administration into one Chair titled The Jeanne Brauns-Oudenhoven and Frem F. Boustany, Sr./BORSF Endowed Chair in Business Administration. ULM: approval to rename the Beta Alpha Psi Eta Sigma Excellence Endowed Professorship in Accounting to the Patti Roshto Professorship in Accounting. UL System: approve Campus Housing and Meal Plan Rates, Auxiliary Rates, Energy Surcharge, HB 152, and Non-Governmental Charges for Academic Year 2018-19. McNeese: approval to appoint Dr. Cecil Mitchell Adrian as Provost and Vice President for Academic Affairs and Enrollment Management.